Your questions are important! Dr. Rottjakob and our team want to make your experience as easy as possible. The questions and answers below are common for new patients. If you need more information, call our office. You may also want to explore our Patient Library and Favorite Links to learn about dental technology and procedures available in our office. My busy schedule doesn't allow a lot of time for dental visits. What does Dr. Rottjakob do to make the most of my time? Dentistry makes me stress out. Can you help? Can my children visit your office? Your time is valuable, and so is your oral health! We use many convenient technologies to make dentistry efficient and long lasting. 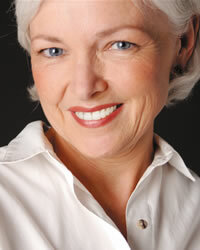 For instance, CEREC allows us to place permanent crowns in a single visit. In the past, crowns required at least two appointments. Immediate-load dental implants mean that you'll leave the office with functioning teeth instead of being toothless, which can really interrupt life! We also offer one-visit teeth whitening, two-visit porcelain veneers, and soft tissue laser therapy to minimize recovery time after oral surgery procedures. If you need multiple or lengthy treatments, we can prescribe oral conscious sedation so that you can receive all of your dental work in one visit. Our paperless records make transferring information to your insurance provider easy and fast. We do our best to stay on schedule and respect your time. We even have late hours – until 7pm – on Mondays and Tuesdays. Dr. Rottjakob offers conscious oral sedation to help patients find comfort during their dental visit and treatment. Patients with anxiety, those who need lengthy procedures, or those who do not respond well to traditional numbing agents should ask us about conscious oral sedation. If you let us know your concerns beforehand, we can make sure that your visit is rewarding. Learn more about oral sedation. Dr. Rottjakob's dentist office is a fee-for-service practice, so please be prepared to pay your insurance deductible or total balance at the time of treatment. We gladly accept cash, checks, MasterCard, and Visa. For third party financing, we will help you apply with CareCredit or CapitalOne Healthcare Finance. Of course! Thank you for entrusting your family's smiles to our care. We consider it an honor and privilege to serve you and your loved ones.